A chemical that could potentially be used in eye drops to reverse cataracts, the leading cause of blindness, has been identified by a team of scientists from UC San Francisco (UCSF), the University of Michigan (U-M), and Washington University in St. Louis (WUSTL). The study, published November 5th 2015 in Science, reports that the newly identified compound is the first that is soluble enough to potentially form the basis of a practical eye-drop medication for cataracts. 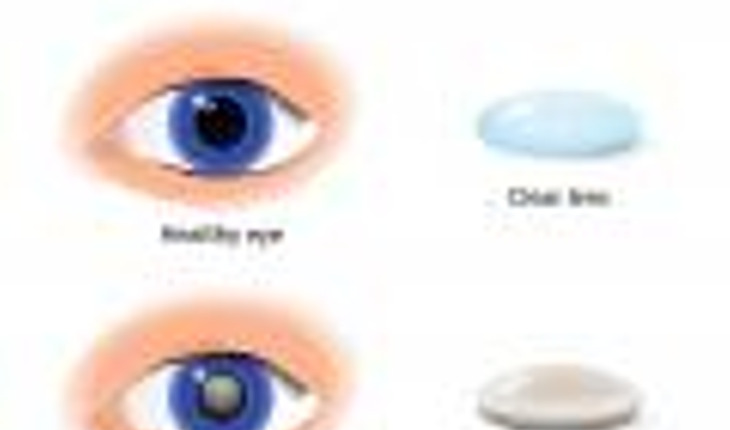 A release from UCSF explains that cataracts, identified as a “priority eye disease” by the World Health Organization, are caused when the lenses of the eyes lose their transparency. The condition affects affect more than 20 million people worldwide. Although cataracts can be successfully removed with surgery, this approach is expensive. Also, most people blinded by severe cataracts in developing countries go untreated. Cataracts are primarily a disease of aging. As is seen in neurodegenerative conditions such as Alzheimer’s disease and Parkinson’s disease, a hallmark of the condition is the misfolding and clumping together of crucial proteins. In the case of cataracts, the affected proteins are known as crystallins. Crystallins are the major component of fiber cells, which form the eyes’ lenses, and the unique properties of these cells make them particularly susceptible to damage, said Jason Gestwicki, PhD, associate professor of pharmaceutical chemistry at UCSF and co-senior author of a paper on the new research, most of which was undertaken in Gestwicki’s laboratory at the U-M Life Sciences Institute. In order for our lenses to function well, this permanent, finite reservoir of crystallins must maintain both the transparency of fiber cells and their flexibility, as the eyes’ muscles constantly stretch and relax the lens to allow us to focus on objects at different distances. This state-of-affairs is “delicate” because pathological, clumped-together configurations of crystallins are far more stable than properly folded, healthy forms, and fiber-cell chaperones must continually resist the strong tendency of crystallins to clump. A similar process underlies other disorders related to aging, such as Alzheimer’s disease, but in each of these diseases the specific protein that clumps together and the place in the body that clumping occurs is different. In all cases, these clumped-together proteins are called amyloids. In the 2015 study, led by Leah N. Makley, PhD, and Kathryn McMenimen, PhD, the scientific team exploited a crucial difference between properly folded crystallins and their amyloid forms: put simply, amyloids are harder to melt. The research group used a method known as high-throughput differential scanning fluorimetry, or HT-DSF, in which proteins emit light when they reach their melting point. At the U-M Life Sciences Institute’s Center for Chemical Genomics, the team used HT-DSF to apply heat to amyloids while applying thousands of chemical compounds. Because the melting point of amyloids is higher than that of normal crystallins, the team focused on finding chemicals that that lowered the melting point of crystallin amyloids to the normal, healthy range. The group began with 2,450 compounds, eventually zeroing in on 12 that are members of a chemical class known as sterols. One of these, known as lanosterol, was shown to reverse cataracts in a June, 2015 paper in Nature, but because lanosterol has limited solubility the group who published that study had to inject the compound into the eye for it to exert its effects. Using lanosterol and other sterols as a clue, Gestwicki and his group assembled and tested 32 additional sterols, and eventually settled on one, which they call “compound 29,” as the most likely candidate that would be sufficiently soluble to be used in cataract-dissolving eye drops. The team next tested compound 29 in an eye-drop formulation in mice carrying mutations that make them predisposed to cataracts. In experiments conducted with Usha P. Andley, PhD, professor of ophthalmology and visual sciences at WUSTL School of Medicine, they found that the drops partially restored transparency to mouse lenses affected by cataracts, as measured by a slit-lamp test of the sort used by ophthalmologists to measure cataracts in humans. Gestwicki cautions that slit-lamp measures of lens transparency used in the research are not a direct measure of visual acuity, and that only clinical trials in humans can establish the value of compound 29 as a cataract treatment. He has licensed the compound from U-M, however, and Makley, a former graduate student and postdoctoral fellow in the Gestwicki laboratory, is founder and chief scientific officer of ViewPoint Therapeutics, a company that is actively developing compound 29 for human use. Dogs are also prone to developing cataracts. Half of all dogs have cataracts by nine years of age, and virtually all dogs develop them later in life. An effective eye-drop medication could potentially benefit about 70 million affected pet dogs in the United States. ViewPoint was formed through the “incubator” program of the California Institute of Quantitative Biosciences (QB3) at UCSF, and is located adjacent to the UCSF campus in QB3’s Janssen Labs. McMenimen, also a former graduate student in the Gestwicki laboratory, is now the Claire Boothe Luce Assistant Professor of Chemistry at Mt. Holyoke College. The research was supported by the National Institutes of Health, the American Foundation for Pharmaceutical Education, and Research to Prevent Blindness. In addition to compound 29’s potential for cataract treatment, the insights gained through the research could have broader applications, said Gestwicki, a member of UCSF’s Institute for Neurodegenerative Diseases whose main research interest is dementia and related disorders.